The Tarantula Store -> What's wrong with my Burmese? · What's wrong with my Burmese?, Problem round her eyes. I'm after a bit of advice regarding my juvenile Burmese. I'm not sure whether, due to my brother not looking after her properly in my abscence, or through poor housing conditions, she's developed something around her eyes. I will hold my hands up that i may be at fault, but because of rental accomodation limitations, she has to live with my brother over 100 miles away, I rely on infrequent visits, or my brother to sort her out. I checked her on the weekend and she appeared to have a white rim around the scales surrounding her lenses. It's not red, so doesn't appear to be inflamation as such, but it looks weird. The one eye looks like it may be due to a 'wonky' moult, but the other one almost looks slightly sunken. Could it be dehydration, or perhaps that her moult wasn't very thorough, or could it be the horrible other option...? I rehoused her in a viv that was a bit dirty and cleaned it with disinfectant. I am really worried that it may have been that that has irritated her eyes? Once I saw her and her eyes like that, I moved her back into her old glass viv. She's strong, and responsive, and has eaten this weekend, so I take that as a good sign, and she seems herself. But I'm scared it's all down to me that she's got this problem. Feel free to have a go at me, because I admit I have been lacking in her care, but in my defense, I'm a bit stuck with her being so far away! I know jack sh1t about snakes (and most other things )but if it was me I would look up the nearist vet that deals with reptiles etc. and get them to take a look at it. I know there are some good people here that may be able to help, but on the off chance that an online diagnosis was wrong is it worth the risk, not only to the snake but also to yourselfs from any possible nasty crap that could come in contact with your skin etc. End of the day even if it is just something simple it is better to have piece of mind after someone has taken a look at it properly or? A very bloody good point. I would look for two thing straight away. Do you have a high spec magnifying glass ? I would check for mites around the eye rim, inbetween the actual eye and the socket. Has the snake molted recently ? When the next shed is due you must make sure that the humidity is higher than normal and there is a larger than normal water bowl/container so that the snake can have a good soak if it feels it needs one. When the snake sheds you must always check the old skin to make sure that the eye caps have come off. They normally will come off if the humidity is correct and the snake has something rough to rub its head on to help it start shedding. Will see whether I can identify anything though. It seems this is down to bl00dy mites! I have seen them wriggling in between the scales around her eye and it seems this may have affected the skin around them. She is now in my care here in Surrey and will be going to see a reptile specialist vet tomorrow to get somethingt o treat her. I feel awful for letting her get in this state, but now she's at home with me and not 150 miles away I can keep a better eye on her. they dont just get them!!!!! Well, she's not had a recurring problem since treatment, so I'm happy. Glad she's ok!! if you ever want advice on burmese or any other snake for that matter give us a shout!! Thanks for the offer, I'll keep you in mind. 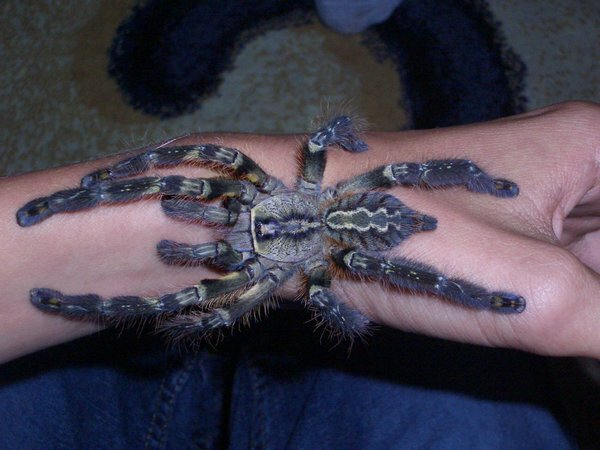 I am also very fortunate to have a superb reptile and exotics vet in the area so have some good medical care on hand too!